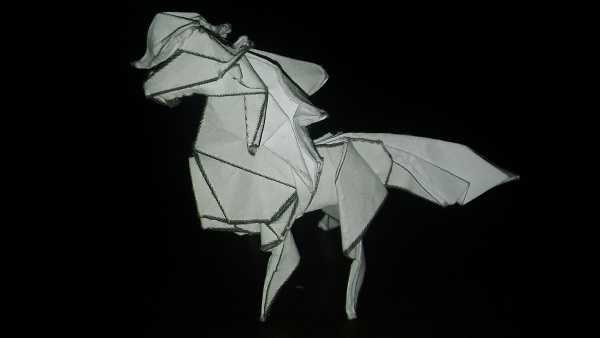 So, i'm trying to fold Horse by Hoang Tien Quyet. It's my first that complex model which im folding with Crease Pattern. I have folded it twice and it just doesn't want to collapse. 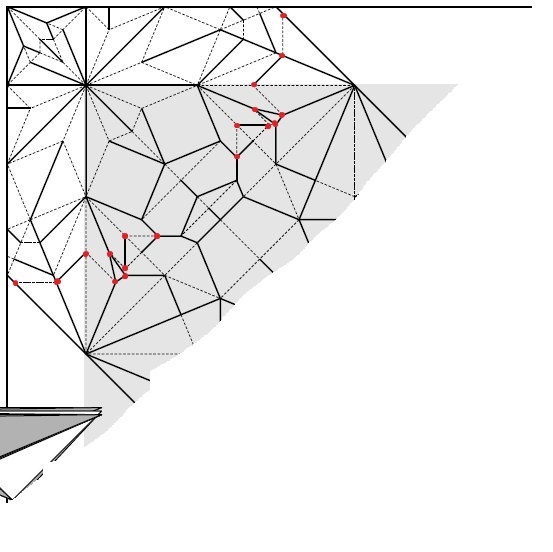 The problem might be the red points and folds between them. It seems to me like there is no reference for them. Any of you guyz have solved this CP? I would appreciate any help. So the problem must be with wrong references I'm taking with those folds i marked. I'm looking foward to your advises guyz. Depending where you found the cp, it may or may not be illegal. It is illegal if the cp is from a document that you would have to pay for, like an ebook. It would also be illegal if you tried to make money off the cp, like making a youtube tutorial without the author's consent. It is not illegal if you found it publicly available. For instance, on the author's flickr, the author's website, or VOG (vietnamese origami group)'s website. If I were you I would provide the link to where you found it, and I think you'd be ok.
About the horse itself, I really don't know. Wish I could help you more. here's a photodiagram on how to collapse the base. as someone who is not good with cp but a longtime folder, i have to admit: there is no way i would have been able to collapse the cp without this. To be honest, It's not that hard to do this. Just those places I had marked would be squished cause the folds were a bit off (I made them like: "I guess thats where it is supposed to be"). I have worked out my own way of collapsing it but i had to do ALL the creases before. He does it w/o those extra ones I have problem making just right so it will be helpful for sure. I'll try it tomorrow and post results, cause it's late at night atm in Poland. That tutorial is very helpful. I was able to collapse it with no problem at all. Just need to work on details a bit and i can use fancy paper. I would have never found it w/o you. I appreciate it, dude!